Our goal was to really push the narrative elements with the new event, and that’s caused quite a shake-up to our traditional way we do scoring. Each round players will play their battle, and determine the game results. They will also score their opponents on their Sportsmanship, Narrative, and Appearance. Each of the categories will be scored as outlined below. 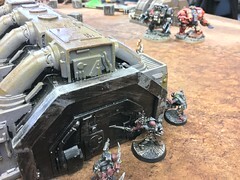 With 3 rounds for the event, and 19 points available to each player in every round, plus 3 points for bringing your own objective markers the event will be scored out of 90 points. Players will receive a scoring guideline sheet as detailed below which will serve as a reference for how we would like you to score your opponent and their army in each round. Games last for 5 rounds, unless the victory conditions allow for the game to end earlier when achieved. If a player claims Victory, they score 9 points for the game, and their opponent scores 1 point for the game. Should neither side claim victory then the game is a draw and both players score 5 points. 0 – I never want to play with this person again. 1 – This opponent was not enjoyable to play with. 2 – This opponent made the game a chore to play. 3 – This opponent was fair and fun. 4 – This opponent made the game very enjoyable and I look forward to a rematch. 5 – This opponent put in extra effort to make this a really great game. 0 – I never want to play against an army like this again. 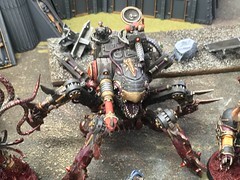 1 – This army was constructed to abuse the rules and the opponent. 2 – This army was optimized with strong combinations and was built to win. 3 – This army was a well rounded force built to compete. Fair and fun. 4 – This army has weaknesses as well as strengths making it a challenging force for both players. 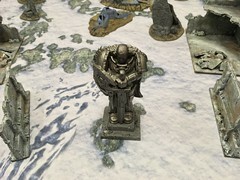 5 – This army was selected primarily for fun ahead of any powerful game effects. 1 – The army meets the minimum standards for play. 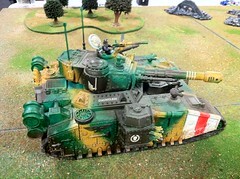 2 – The army is painted to a decent tabletop standard. 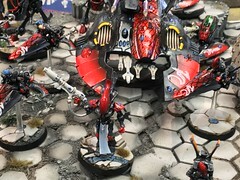 3 – The army is well painted and enhances the play experience. 4 – An excellent army. An inspiration to behold and play against. 5 – A truly amazing force. The quality and craftsmanship are worthy of the highest honours. 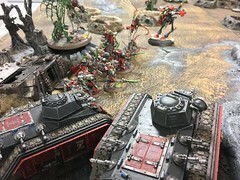 0 – This army does not have a place in the 41st millennium. 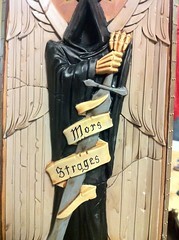 1 – This army cannot be said to represent the 40k mythos well at all. 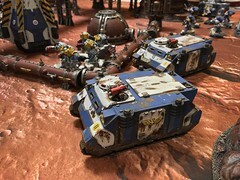 2 – The army is at best a weak representation of 40k lore. 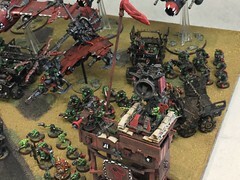 3 – This army fits within the 40k universe, but there is nothing inspiring about its story. 4 – The army motivates and inspires, adding greatly to the experience of players and spectators. 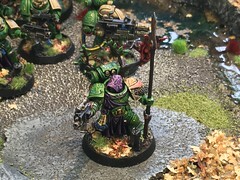 5 – Dan Abnett himself would be envious of the level of inspiration that this army creates!